The Verzasca Group's Pearl House, a seven-story development with 30 condo units in Miami's Bay Harbor Islands, Fla. It features luxury amenities, including landscaped gardens and a rooftop pool. Developers in Miami building new condominiums are downshifting from ultraluxury projects as worries mount about market saturation. An estimated 18,000 new condominiums are in the pipeline between now and the end 2017, according to Zalewski. The growing supply of newly built condos is pressuring developers to build at lower price points. Foreign buyers are fueling new residential development in Miami-Dade and many of the new developers are from outside South Florida, said Zalewski. "Around 40% of the units being put up are being done by [developers who] have never built in Miami before." 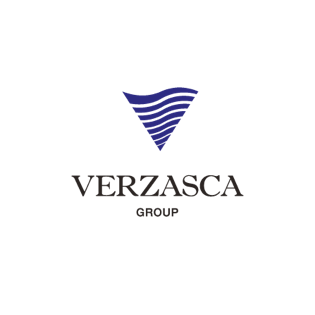 The Verzasca Group, led by former NHL player Darius Kasparaitis, launched in South Florida last year to build a string of luxury condominiums. The group, which previously developed residences in St. Petersburg, Russia, is focused on constructing new high-end apartments on non-waterfront property in the Miami area. Verzasca Group entered the U.S. market by launching sales for the Pearl House in Miami’s Bay Harbor in December 2014. It is also planning another condominium development, Le Jardin, in the same neighborhood near the Bal Harbour shopping district. In general, units at these projects have pre-sold at about $400 a square foot; two-bedrooms sold for $650,000 and penthouses cost $1 million. The common practice for South Florida developers is to pre-sell buildings before breaking ground, said Peter Spiegelman, principal at International Sales Group who leads a network of luxury brokers in the Miami-Dade area. Developers in Miami-Dade County are selling new condo units at around $949 per square foot, which is up 16% from six months earlier, according to data released by CraneSpotters.com on May 18. CraneSpotters.com tracks preconstruction condo projects in South Florida. The average new Miami condo now sells for around $1 million, Miami real estate experts say. "The lower end of luxury in Miami starts around $1 million and does go up to say $4 million," according to Lynda Fernandez, a spokesperson for the Miami Association of Realtors. The Aurora, the more ambitious of the Verzasca Group’s projects, is a 61-unit, mixed-use tower built at a slant to gain oceanfront views from its inland plot. The proposed Sunny Isles Beach high-rise is expected to launch its sales this summer between $700 and $750 per square foot. Around 30% of these units are three-bedroom apartments, expected to fetch a $1 million dollar price tag. There are other projects in Sunny Isles Beach that are selling for more than $1,000 per square foot, but these buildings have strong brands and names behind them, said Justin Rubin, a Miami-based Douglas Elliman agent. Many developers have started to build lower-end luxury condominiums in downtown Miami's Brickell neighborhood. New condos in this area fetch around $500 a square foot, with some exceptions. At the Echo Brickell, a waterfront property, units start at around $1,000 a square foot. “Price per square foot in Miami is location and view because water is gold here for developers,” Rubin said. “Not everyone can afford the ultraluxury. When there is product built, there will be buyers for it."